The Maritime Museum is a Dutch museum in Amsterdam about shipping and includes a special collection on maritime history of the Netherlands. Though the actual building of the Maritime Museum in Amsterdam dates back to 1656. Since 1973, the museum is located in ‘s Lands Zeemagazijn at the Oosterdok near the IJ in Amsterdam. 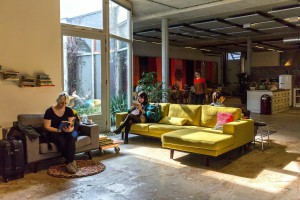 there was a total renovation that took place recently in the year 2011. 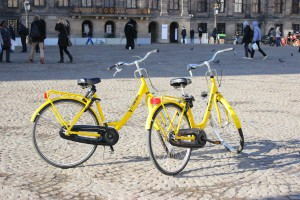 Located just a little ways from the city center and right near the city old harbor, the museum is easy to locate and is considered an absolute must for all first time visitors to Amsterdam. During the renovation, one of the many fantastic constructions they performed was covering the inner courtyard entirely with a glass roofing. This means that no matter what the weather is, you will be warm and dry inside while enjoying the pure beauty of the design and architecture the entirety of the building. If you happen to be visiting the museum at night, you can look forward to hundreds of tiny LED lights placed between the many shields of glass make it look as if it is a pleasant starry night. Of course when you are not spending time in the inner courtyard, you will be marveling at the thousands upon thousands of incredibly interesting artifacts and exhibits. Though many of them change throughout the year, there are several permanent exhibits such as the ‘See You in the Golden Age’, ‘Voyage at Sea’, and ‘Port 24/7’, which all offer something unique and different than the next. 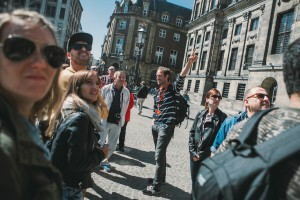 A fantastic outing for any type of traveler including families to discover as the overall feel and atmosphere of the museum is fun, lively, and colorful. 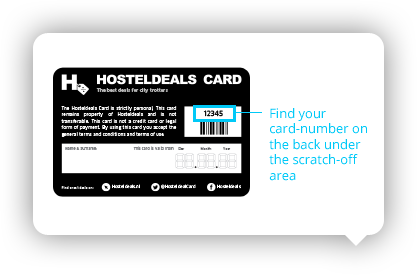 Good tip: you will receive a benefit with your hosteldeals card! Did you know that 1800 wooden piles had to be sunk down into the ground in order to construct it on the artificial island it is located on?